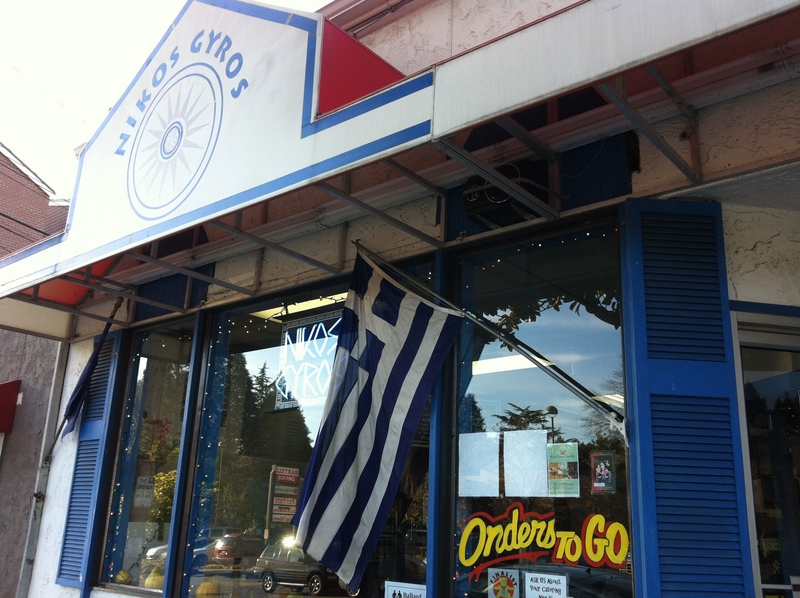 Not too long ago my dad asked me to join him for lunch and suggested Nikos in Magnolia. I had never been but am always willing to try a new (new to me) Greek spot. It’s easy to spot with the blue and white exterior and the Greek flag proudly hanging outside. You have to love that it’s still family run and is genuinely a cute little neighborhood spot. Nothing crazy and lavish…great authentic food at affordable prices. 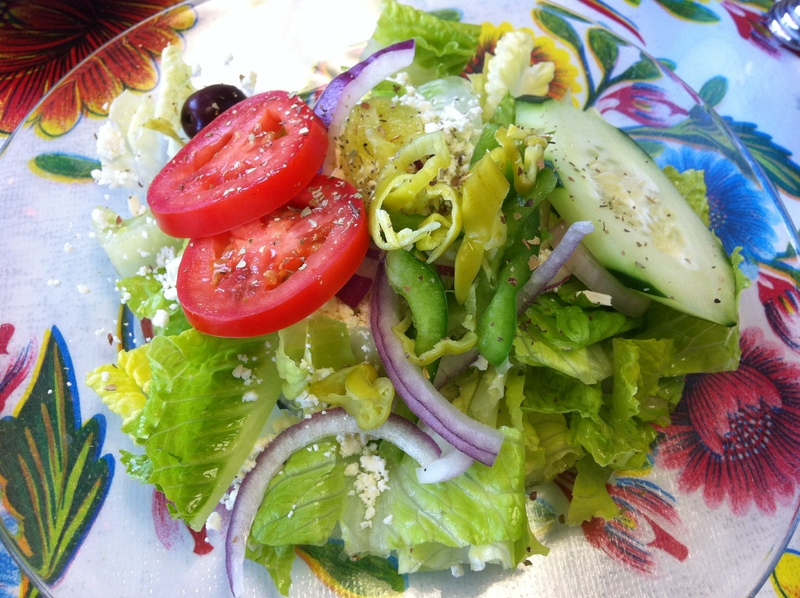 *I ate light this day (soup and salad) however my dad enjoyed a Greek stable…the gyro! And boy did it look good. I would recommend that if you go…that or the Chicken Souvlaki which I hear is a fan favorite. 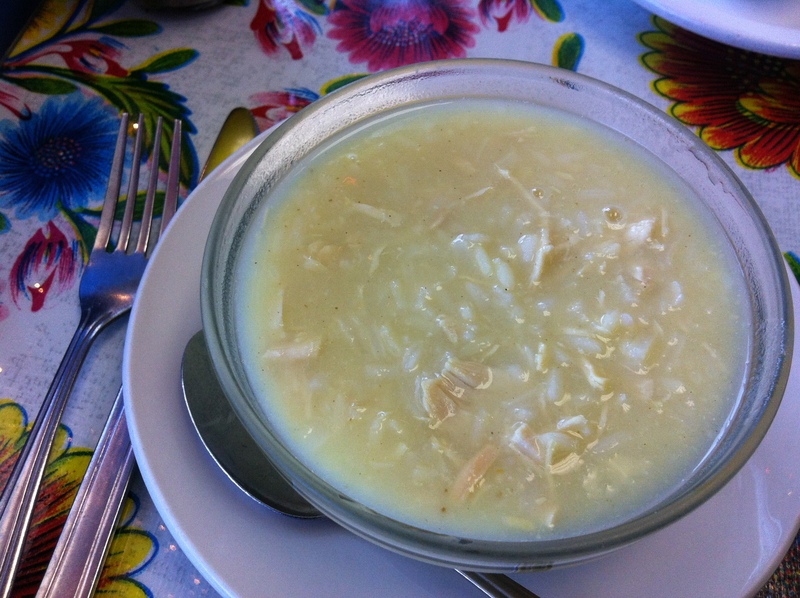 Avgolemono – a very traditional Greek soup consisting of egg, lemon, chicken, chicken broth and rice. I LOVE it! It’s what I grew up eating…kind of like the Greek version of chicken noodle soup (but better:)). The lemon brightens it up and adds that much more flavor. Try it!